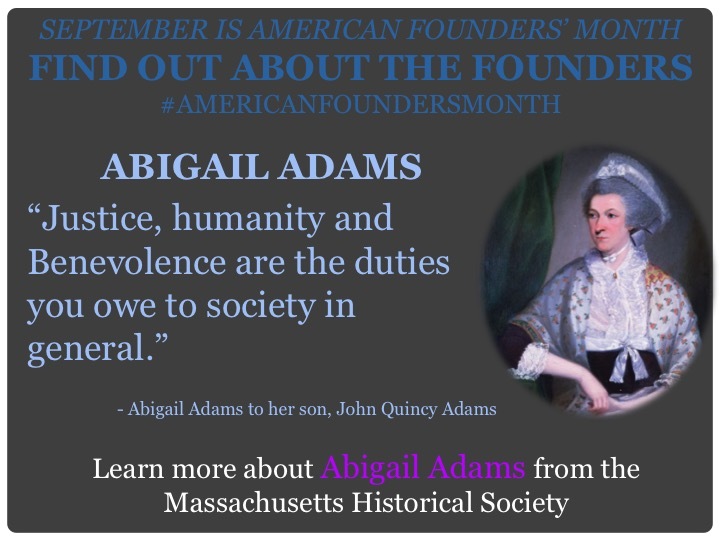 Abigail Adams is perhaps one of the most well known of what we might call the Founding Mothers, the women who participated, in one form or another, in the establishment of the United States of America. Indeed, she was more than simply the wife of of one president (John Adams) and the mother of another (John Quincy Adams). But what was she, really, and what do we owe to her memory and her contributions to our country? Check out the overview and really cool primary sources in this lesson provided by the Massachusetts Historical Society to learn more about this incredible woman.